Organize Your Holiday Calendar. 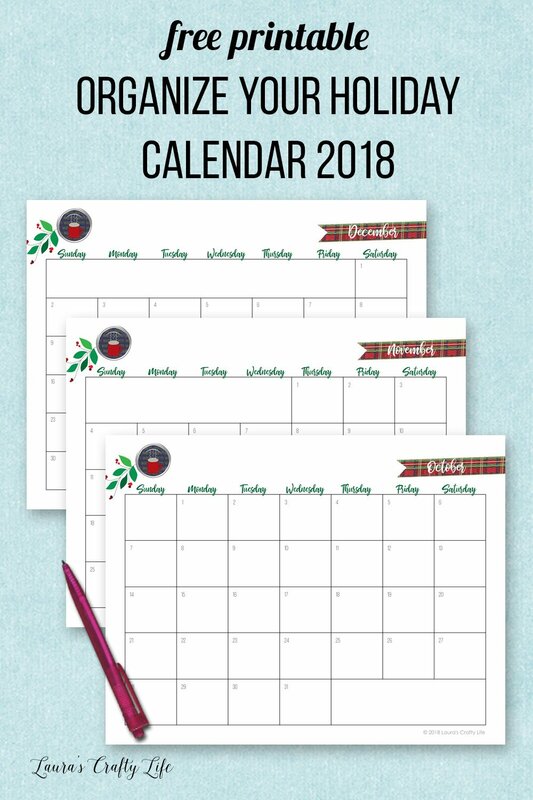 Free printable calendar to get organized for the holidays. Includes a dated calendar and a blank calendar. 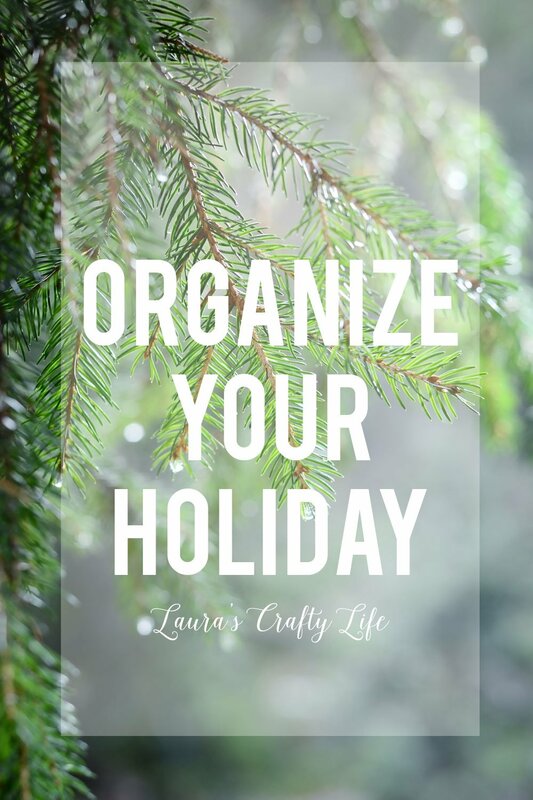 Last week in the Organize Your Holiday series, we got our holiday binders set up to start getting all of our ideas in one place for everything holiday related. We printed out holiday bucket lists to brainstorm with our families what we want and need to do over the holidays. Today, we are going to print out calendars and get them in our binders. Add any dates that are already set for holiday plans. You can download and print both a dated version and a blank version. The dated calendar does not include any pre-printed holidays. Fill them in as needed for whatever holiday and traditions you celebrate as a family. I suggest filling in the calendar in pencil since plans can change. Once you have your calendar printed out and filled in with the events you already have planned, you can go back and look at your bucket list. Do you have enough time to do the things you want to do on the list? Can you move something to a different date to make more time or even cancel something that isn’t as important to you? Be sure that you keep this calendar up to date. Before you say yes to any events, volunteering, parties, etc. that you are invited to or asked to help with, check the calendar to confirm you have time to commit to doing it. 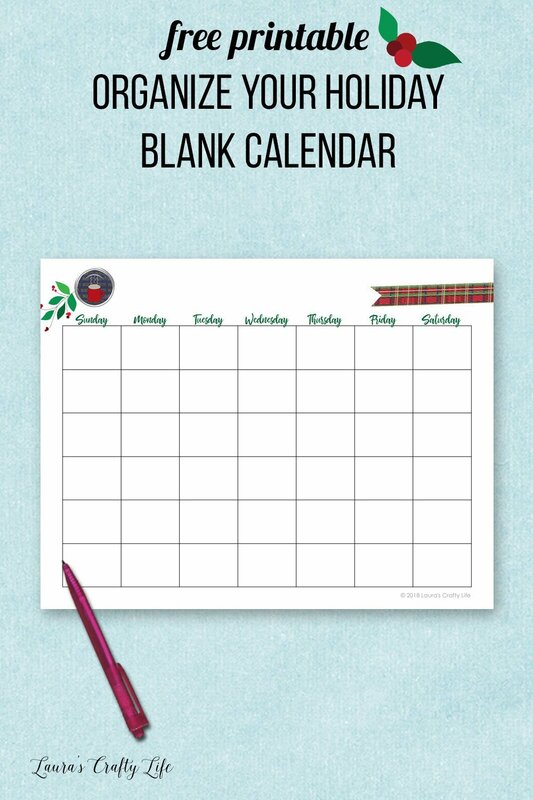 I also have a completely blank monthly calendar you can print out and add to your binder to use for the entire calendar year. Next up, get a printable budget to keep track of all of your holiday spending. It includes a printable shopping list for Black Friday and Cyber Monday.